New perspectives on the culture, history and heritage of the Middle Ages from our leading interdisciplinary researchers. Announcing a New Project: Warhorse: The Archaeology of a Military Revolution? Richard Nevell on PhD Students Wanted! Richard Nevell on Enter the World’s Largest Photo Competition! By Catherine Rosemary Rider in Events on 3rd Jul, 2017 . Recently, on 24 June, I went to the annual mini-conference of the Devon and Cornwall Record Society, held at the Guildhall in Exeter. This year’s theme was Late Medieval and Reformation Parishes, to reflect the theme of the Devon and Cornwall Record Society’s next forthcoming volume, Stratton Churchwarden’s Accounts, 1512-1578, edited by Dr Joanna Mattingly. North side of Stratton church with 19th-century vestry. Photograph by Alexis Jordan. There were two papers, by Joanna Mattingly and Clive Burgess, a historian of medieval parishes based at Royal Holloway, University of London. 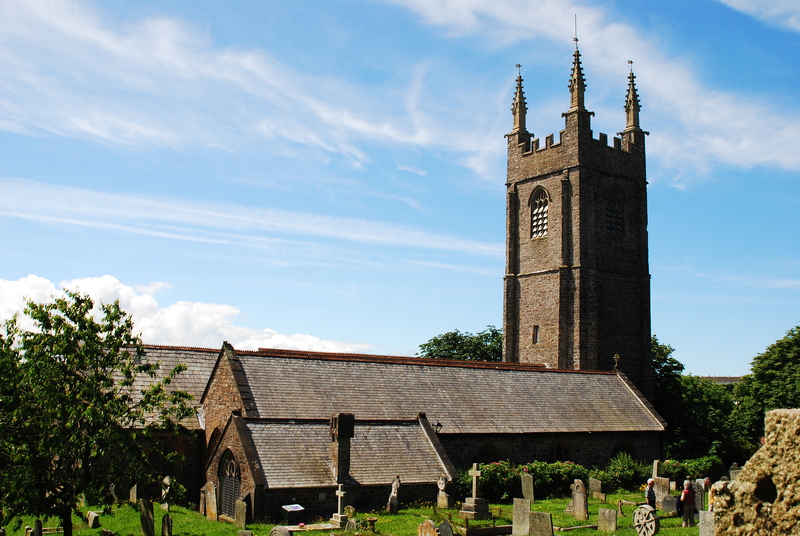 Dr Mattingly talked about the churchwardens’ accounts from Stratton, in north Cornwall, and gave a taster of what will be in the book. The Stratton accounts are comparatively unusual in that they span the Reformation without a break. Stratton is also unusual because several different types of documentation survive from the parish. There are two different sets of accounts relating to different parts of the parish’s activity – the High Cross, or churchwardens’ accounts, and the General Receivers’ accounts which give an overview of the parish finances as a whole. There are also documents and maps relating to a court case in 1583. This allows us to see information which is normally missing from conventional churchwardens’ accounts. Talking about this rich material, Dr Mattingly described the progress of the Reformation in Stratton, as the parishioners bought new Protestant service books and resisted having their carved wooden rood loft demolished (ultimately unsuccessfully). Alongside this activity, the everyday maintenance of the parish church continued, as churchwardens collected rents and paid for equipment, repairs and cleaning. In his paper, Clive Burgess also highlighted the importance of the Stratton accounts. He emphasized that most work on medieval and Reformation parish records so far has examined either large urban areas such as Bristol and London (the focus of his own research), or small rural villages, such as Morebath in north Devon, which is the focus of Eamon Duffy’s 2001 book, The Voices of Morebath. Small towns, such as Stratton, are comparatively under-studied. Dr Burgess also gave an overview of the late medieval church to set the Stratton accounts in a larger context. Here he stressed in particular the amount of money which medieval laypeople spent on their parish churches. They paid for building works, altars, chantries and equipment, in exchange for being commemorated and prayed for. There were many reasons for this, including the doctrine of Purgatory (which held that prayers could help the souls of the dead), and the fact that after the Black Death a combination of circumstances meant that many parishioners had some disposable income to spend. He argued that medieval religion was essentially communal, and that late medieval parishes were one expression of this. Wealthy parishioners gave generously and in exchange, the less wealthy were expected to pray for them. One of the changes which took place in the Reformation, according to this view, was a shift to a more individualistic view of religion. Overall, these two fascinating talks helped to bring the complex religious changes in this period to life, as well as highlighting the amount of unpublished source material waiting for studies and critical editions. The Devon and Cornwall Record Society was founded in 1904 to transcribe and publish local records, and to promote local historical studies and genealogical research. Its publications cover many aspects of the West Country’s political, social, religious, economic and maritime history. For more information and details of how to join, please see their website. Stratton Churchwarden’s Accounts, 1512-1578, by Joanna Mattingly (Devon and Cornwall Record Society new series vol. 60) will be published by Boydell and Brewer in spring 2018.